At The Great Little Junk Shop, we buy and sell jewelry! 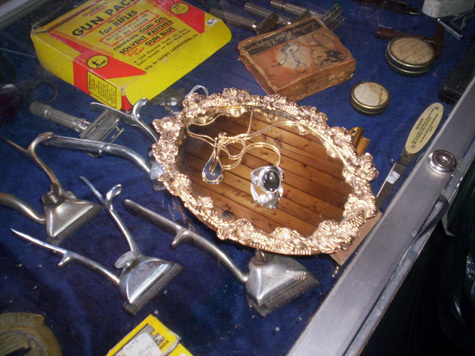 You may bring in your old jewelry for us to look at, We buy and sell jewelry at fair market prices. Rings, watches, bracelets, necklaces, ear rings and all kinds of other jewelry. Keep dropping by and see what's new! We are always bringing in more treasures to keep you, our valued customer coming back. Come on down, come on in and see what we have to offer!